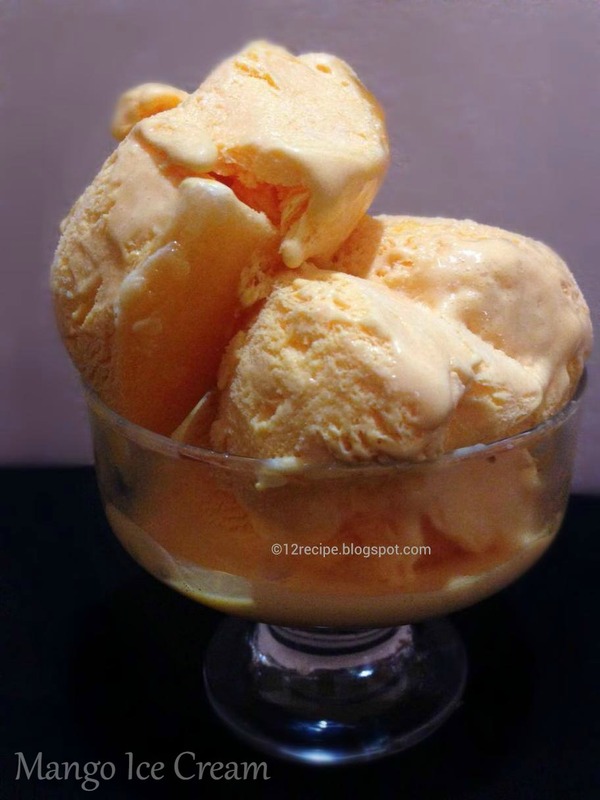 Now it's mango season and here is a simple and quick mango ice cream recipe with few ingredients and made without an ice cream maker. Whip the cream with an electric beater at high speed until soft and fluffy peak comes. 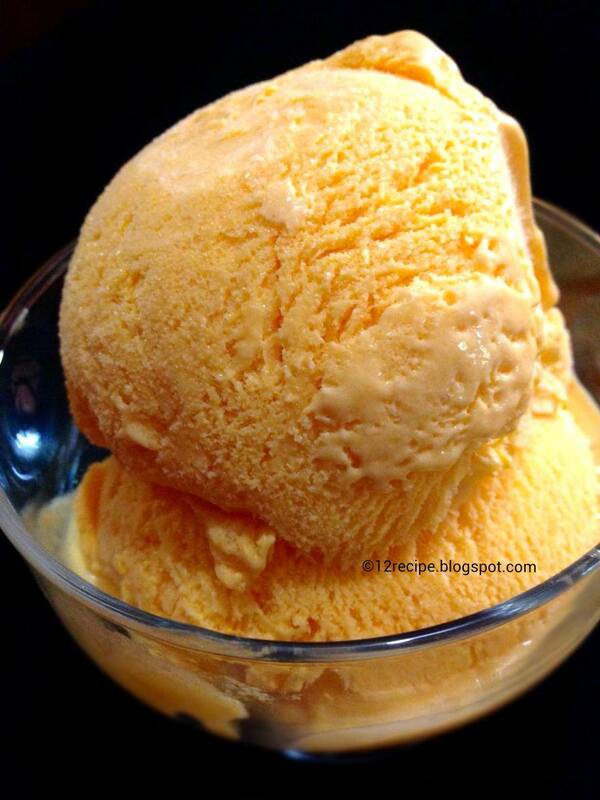 Add vanilla extract and mango pulp in to it, fold it well. Add condensed milk and fold it again. Add theses in to a container, close the lid and freeze it for over night to set.